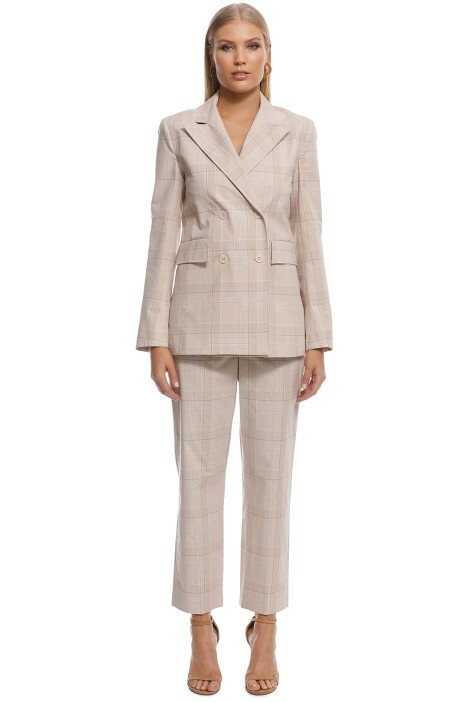 A classic blazer is a must-have for any stylish woman’s wardrobe, and the Check Jacket by Scanlan Theodore is a refreshing update for the season. Featuring a subdued check pattern, the jacket has a classic double-breasted style with front flap pockets. Ultra-versatile, hire this stylish jacket for your next work function or daytime function! Look especially stylish at your next work function by styling the jacket with a black knit midi dress and elegant crystal bead drop earrings. Read our blog post on getting work function ready!